Starting Friday, January 9: Gran Torino. Continuing through January 15: Marley and Me and Valkyrie. It looks like Slumdog Millionaire will start January 23 and on the 16th probably a week of Australia or Seven Pounds. Which one do you want to see? We're also thinking about The Curious Case of Benjamin Button for the 23rd. Milk we hope to get later on when they make more prints because of Sean Penn's sure nomination. So that's what we're thinking. Don't know yet which way the balls will bounce. Preschool Storytime Bring your preschoolers on Friday mornings at 10:30am to enjoy stories, rhymes, songs, and fun with our children's librarian. Evening Book Group on Wednesday January 7th from 6:30-7:45 pm. 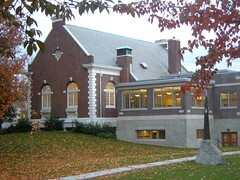 Join us for a book discussion at the Columbia Branch. Everyone is welcome. This month’s title is "Everything is Illuminated" by Jonathan Safran Foer. Learn how to reduce stress, pain and anxiety by using Mindfulness Based Stress Reduction (MBSR). This intensive nine week program can teach brain and body to be more relaxed using basic meditation (mindfulness) and movement (gentle yoga). There is some home practice requirement. Auky van Beek has been practicing community medicine in South Seattle since 1998 and has spent three months of intensive training toward certification in teaching MBSR. She is very excited and committed to offering this course as an alternative way of dealing with pain and suffering. Columbia City Fitness is now offering a Brazilian Dance Class on Wednesday nights at 5:30 - and we're kicking off the New Year with a free introductory class on Wednesday, January 7. Come and see what Brazilian dance and music is all about! Instructor: Lisette Austin, Managing director of Tudo Beleza Brazilian Dance Company. This is a beginner level class that explores various Brazilian regional dance forms including Samba, Axé and Samba Reggae. Come experience a high energy and dynamic workout! Drop in and punch cards available for both gym members and non-gym members. Great for both men and women! 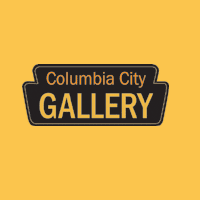 The Columbia City Gallery is hosting a Silent Auction of gallery artists' work from Jan 21-31, 2009. This is a unique opportunity to collect work from your favorite local artist. Minimum bids will be set by each artist. Bids may be made in person, on the phone or via email. Winners will be notified on February 2. The Auction Kick-Off & Artists' Reception is on Saturday, January 24, 5 – 8pm. This event is free and we encourage you to attend! Come one, come all to the amazing groundbreaking planting party for Orca on Sat Jan 10th from 10am-2pm. We have completed a master plan that encompasses teacher, student, and neighborhood input for creating an incredible garden space. Come get an up close and personal view of the incredible resource that the Orca garden will be. We will plant a diverse selection of native NW plants, herbs, medicinals, trees, shrubs, and so much more. Anything is Possible hosts kick-off fundraiser! The Anything is Possible Theatre Company, who brought you Something Big Has Been Here, is producing a new children's musical It's a Whatchamadoozie with a Whaddayacallit with a Thingamajigit on Top in June 2009. 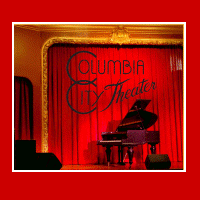 We invite you to our kickoff fundraiser event on Sunday, January 25th from 4pm - 6pm at the Columbia City Gallery. Featuring wine and cheese, coffee and desserts, a raffle and silent auction. We'll also perform several musical numbers from the new musical. Proceeds from the event will help to subsidize school performances and prevent us from turning any one away due to lack of funds. Contact 760-1336 or 200-7315 for additional information. Start your year off with music! Offering early childhood development music and movement classes for children ages 15 months to five years old, led by Sarah Burgess. Classes include singing, bouncing, rocking, listening, dancing, call and response rhythm exercises, skipping, galloping and more! Musical activities immerse the child in language, evoke movement, stimulate the brain and foster physical coordination, all in a group setting that builds community. Times columnist Jerry Large asked fellow Citizens about what gifts really mattered. June's neighborhood brunch has a gracious host. Would you host May's? 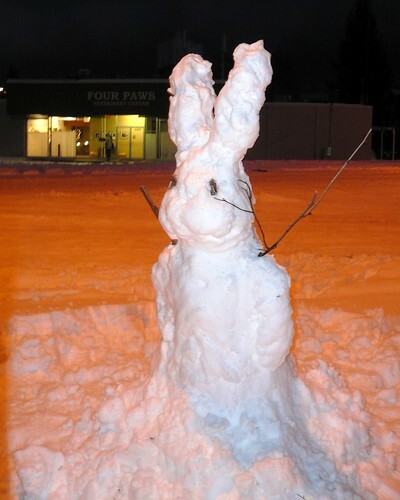 The UW Public Art class posted a link to their work on the Gateway Project page. In the discussion board, added a category for "anything goes". Don't know where to start your discussion? That's the place. A Citizen added Mawadda Cafe to takeout. The Columbia City Community Council plans to meet with Sally Clark on Feb 2nd. Gwen Mitchell updated contact information for Rainier Valley Food Bank in nonprofits.